The letters are blanket stitched to the background fabric, through the batting and backing. Also, the sashing is sewn all at one time to the batting and backing. 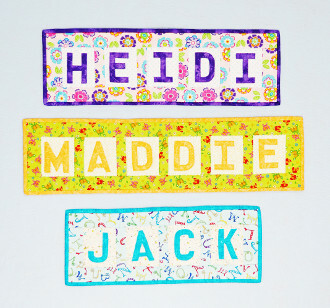 Wouldn't this be a good baby shower gift of a banner for a child's room? You can make the banner as long as you like.